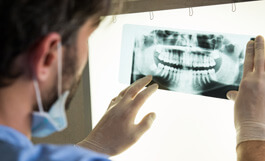 Periodontal disease, also called gum disease, is more common than you may think. If you’ve been diagnosed, you can rest easy knowing that the team at John C. Reimers, D.D.S. has extensive experience with periodontal disease and has successfully treated many patients. Once your periodontal treatment is completed, your dentist may recommend more frequent checkups and cleanings. Regular dental visits and deep cleanings are important to keep periodontal disease under control. The temporomandibular joints, called TMJ, are the joints and jaw muscles that make it possible to open and close your mouth. Located on each side of the head, your TMJ work together when you chew, speak or swallow and include muscles and ligaments as well as the jaw bone. They also control the lower jaw (mandible) as it moves forward, backward, and side to side. In some cases, your dentist may recommend fixing an uneven bite by adjusting or reshaping some teeth. Orthodontic treatment may also be recommended. Dr. Reimers offers advanced nonsurgical programs to treat gum disease. If needed, he’ll create a gum-care program that can keep your smile healthy for a lifetime. Oral appliance therapy is an effective treatment option for snoring and obstructive sleep apnea (OSA). A custom-fit oral sleep appliance can improve your sleep, restore your alertness and revitalize your health. Worn only during sleep, an oral appliance fits like a sports mouth guard or an orthodontic retainer. It supports the jaw in a forward position to help maintain an open upper airway. Research shows that oral appliance therapy is an effective treatment option for snoring and obstructive sleep apnea. If you suffer from sleep apnea Dr. Reimers can figure out a treatment that best suits you. An Occlusal Guard (Night Guard) is a horseshoe shaped piece of plastic, which is worn over the teeth to protect them against damage caused by teeth clenching and grinding. It works by creating a physical barrier between your upper and lower teeth so that you bite against the plastic rather than wearing down your teeth. Most people are unaware that they grind (also called bruxism) or clench their teeth as it usually happens when they are sleeping. It is often a person's partner, or dentist, who first notices that they are grinding their teeth. People tend to go through phases of grinding their teeth, such as during times of stress. It is during these times that you may need to wear a night guard to prevent doing permanent damage to your teeth. Imagine what it would be like if you suddenly lost one or two of your front teeth. Smiling, talking, eating, everything would suddenly be affected. Knowing how to prevent injuries to your mouth and face is especially important if you participate in organized sports or other recreational activities. Mouth guards, also called mouth protectors, help cushion a blow to the face, minimizing the risk of broken teeth and injuries to your lips, tongue, face or jaw. Dr. Reimers can help protect that perfect smile with a custom-made mouth guard just for you. Sedation dentistry is popular because most sedatives can be taken by mouth, meaning no injections, no anxiety and no pain. 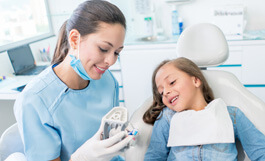 Safety and compliance are two important aspects of treatments, so sedation dentistry offers both the individual and the dentist the best alternative.